Vijay TV’s famous anchor Ramya was rumoured to breaku up her marriage relation ship last month. She married Abrajith last year and her marriage was so special that almost all leading kollywood stars attended her marriage. 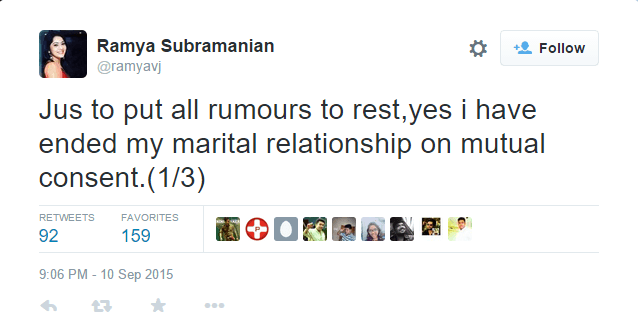 VJ Ramya now officially announced her divorce in Twitter. 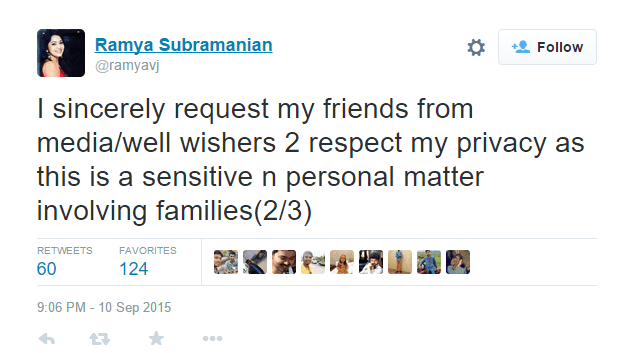 She also requested her fans and media to respect that as its her personal decision and it involves her family.